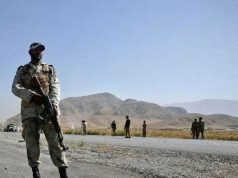 ISLAMABAD: Security forces on Thursday killed the Balochistan chief of proscribed Lashkar-e-Jhangvi during an intelligence-based operation in the Killi Almas area of Balochistan, said a statement from the Inter-Services Public Relations (ISPR). A Pakistan Army officer, Colonel Sohail Abid, was martyred during the operation and four other soldiers were injured during the security operation. The operation was conducted on intelligence obtained from a high-value terrorist arrested earlier by security forces. Intelligence pointed to the presence of the LeJ chief and presence of suicide bombers at the terrorist hideout. The Army’s media wing added that during the operation three terrorists, including the two suicide bombers, were killed and one was arrested after being injured. The provincial head of the terrorist group was identified as Salman Badeni, and security forces claimed he was involved in the killing of over 100 members of the Hazara community. The would-be suicide bombers were identified as Afghani nationals, said ISPR. The funeral prayers of Pakistan Army Col Abid was held in Rawalpindi today. Chief of Army Staff (COAS) Gen Qamar Javed Bajwa along with senior civil and military officials also were in attendance. He will be laid to rest at Bobari near Bara Kahu with full military honors. Agencies add: The funeral prayers of martyred Colonel Sohail Abid of the Military Intelligence were offered in his native village in Vehari on Thursday. Dozens of security officers, relatives and locals participated in the last rituals of the brave officer and prayed for his forgiveness. The sources told that the body of the officer will be taken to Rawalpindi for burial. Colonel Sohail Abid embraced martyrdom during an operation in Balochistan, in which high-value target of banned terror outfit Lashkar-e-Jhangvi (LeJ) and two other terrorists were killed. The operation was conducted in Killi Almas area of Balochistan early Thursday morning. 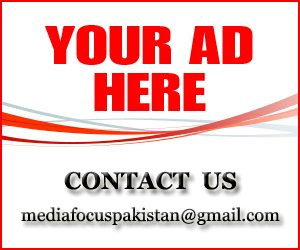 “Security Forces conducted an intelligence-based operation (IBO) in Killi Almas, Balochistan on pointation from apprehended high-value target about the presence of suicide bombers along with other terrorists in hideouts,” Inter-Services Public Relations said in a statement. 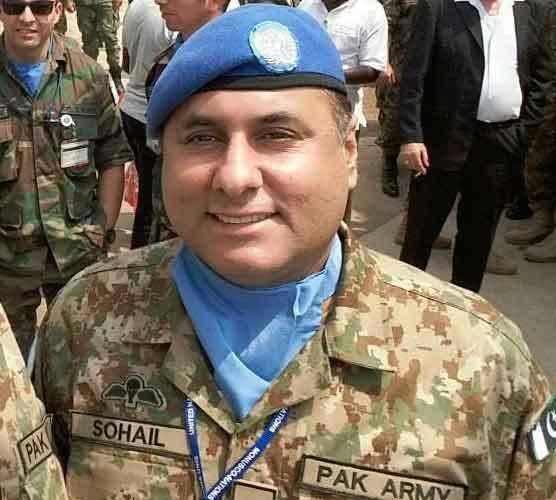 “During intense exchange of fire Colonel Sohail Abid of Military Intelligence embraced Shahdat while 4 soldiers got injured including 2 critical,” the ISPR added. Two of the injured soldiers are in critical condition, the Inter-Services Public Relations (ISPR) statement said. Prime Minister Shahid Khaqan Abbasi had expressed deep grief over the martyrdom of Colonel Sohail Abid. PM stated that Pakistan’s valiant forces will not rest till the last traces of terrorist elements are wiped out from Pakistani soil. “Our soldiers have paid the price of freedom with blood and there is no higher sacrifice than it. We as a nation are united than ever against the coward enemy,” he said. Moreover, Punjab Chief Minister Shahbaz Sharif, former president Asif Ali Zardari and National Assembly Speaker Ayaz Sadiq and Pakistan Tehreek-e-Insaf Chairman Imran Khan paid rich tributes to the martyred officer. Chief Minister Balochistan Mir Abdul Quddus Bizenjo on Thursday attended the funeral prayer of Col. Sohail Abid, who was martyred in the operation against terrorists in Killi Almas area of Balochistan. would never be forgotten Home minister Mir Sarfaraz Bugti, IG Police Moazzam Jha Ansari, IGFC Major General Nadim Anjum and other civil and military officers also attended the funeral prayer. Prime Minister Shahid Khaqan Abbasi has said soldiers have been paying the price of freedom with blood offering supreme sacrifice in fight on terrorism. In a message of condolence to the family of Colonel Sohail Abid who was martyred in an operation against terrorists in Balochistan, he said our valiant forces will not rest till last trace of terrorist elements is wiped out from country soil. 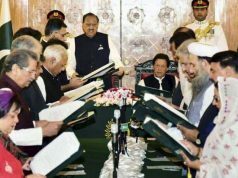 Shahid Khaqan Abbasi said entire nation is united than ever against the coward enemy. Meanwhile, Speaker National Assembly Sardar Ayaz Sadiq has also expressed grief over the martyrdom of Colonel Sohail Abid.